Want to play a basketball game on your mobile device that simply allows you to have fun, without having you think of how to manage a 12-man lineup or review a myriad of skills and stats to make sure you’ve got the best players available? Superhoops may be the game for you then. 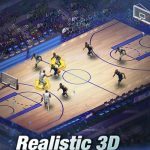 This title by SOZAP is only available for iOS devices at the moment, and it boasts of 3D graphics, addictive gameplay, as well as “super powers” that can help you level up and super-powered basketball. 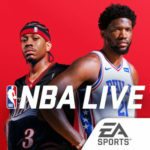 You also get to battle the world’s best players in the Daily Challenge, and we aren’t talking about LeBron James or Stephen Curry here – we’re talking about real-life players like you, mobile gamers from all over the world. 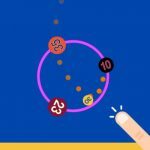 This is casual sports gaming at its finest, and we’ve now got collected a list of Superhoops tips, hints and cheats for you to take your game to the next level. There is a method to the madness in Superhoops, and it’s deceptively simple to pull off. Try swiping your finger up and having it land in the middle of the square that’s found right above the hoop. Aiming close to the middle gives you a better chance of making the shot. Swiping too high or too low, however, will result in you missing the shot like Shaquille O’Neal missed all those free throws back in the day. The Daily Challenge, as we mentioned, will involve you taking on mobile players from all over the world. The more points you’re able to score, the higher your rank will be. And if you’re able to make it to the top three, you can earn a good amount of cash. Just like in real life, shots made from far away will get you more points, but the scoring system, of course, is different in Superhoops. Harder, longer shots will get you more points. And if you’re able to hit shots from especially far away, that’ll get you up to ten to twenty points. Again, you’ll want to swipe your finger up to the center of the square found above the hoop, but the square will get smaller if you take longer shots. 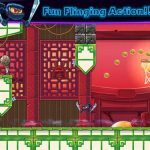 Superhoops says that you can upgrade your ball to give you a better chance of scoring high, and you do need to do this and spend your cash the right way. With an upgraded ball, you don’t have to have the best of aims. You can also unlock new balls with each level you complete, so don’t hesitate to buy a new ball if you’re looking to score more and shoot better. Hitting a certain number of shots in a row would make the ball light up, and when it’s on fire, so are you. Aiming won’t be any more difficult or easier, but you would be able to get double points if you successfully shoot a ball that’s on fire. Miss two shots, however, and your ball will go back to normal.